Do you have tough stains and odors in your carpet and looking for an easy solution? If so, BISSELL Rental is here to help! Our deep carpet cleaner rental machines are specifically designed to tackle your carpet’s toughest stains, odors and deep down dirt. In fact, it can even reach even the deep down fibers of your carpet. 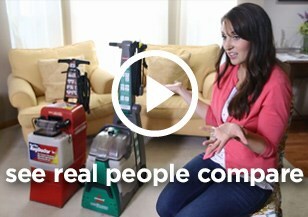 Click the reviews link below to hear about how others have used BISSELL Rental to tackle their toughest carpet challenges. There are tons of retails locations all over the country that carry the BISSELL® Big Green Deep Cleaning Rental Machine®. Use our Retail Locator below to find the location nearest you. Rentals start at just $29.99 for a 24-hour rental and $39.99 for a 48-hour rental (prices subject to change at each location).